Do you bake homemade dog treats for your Miniature Schnauzer? Do you have a special recipe your dog just flips for? 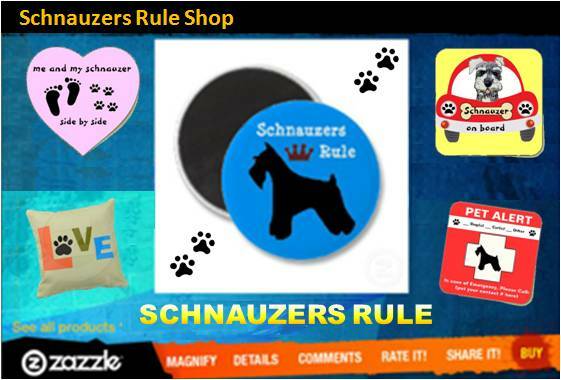 If so, we would love to have you share your dog recipe with our site visitors, so they too can whip up a batch a goodies for the special Mini Schnauzer in their household. These days, more and more people are baking home cooked meals and treats for their dogs. Why? Well the reasons are many but for starters, those of us who remember and had pets survive through the massive pet food recall of 2007 need no more reasons to provide fresh untainted foods to our pets. It's enough to drive a pet owner mad! So at-home preparation provides a way to avoid potential health risks to your Schnauzer from contamination. Plus fresh meals in general, are a healthy alternative to store bought dog treats and foods that are also loaded with preservatives and other unhealthy ingredients. Another good reason to prepare homemade dog treats for your Schnauzer is because you'll save money. Think about it. An average bag of dog treats costs about $5 for 12 oz bag. And with feeding recommendations of: Feed between meals as a treat, the bag doesn't last very long. Now make a batch of our dog biscuits from scratch. They costs a whopping $1.09 to make and if stored in the freezer, can last for months. If you prepare any kind of homemade dog treats or food for your Miniature Schnauzer... we would love for you to share your recipes with us here. And if you have any photos of the finished dish or of of your Schnauzer enjoying the goodies you baked, please load them up, too! You know baking is a great family activity that's can be so much fun. So we would love to include kid-friendly meals that are simple enough for children to make. This way the whole family can get involved and I bet when you're done, your Miniature Schnauzer will thank you BIG TIME! Please keep in mind, when submitting your dog recipes to include the exact amount of ingredients and preparation involved so our readers will be able to clearly understand the process. note: submissions with incomplete information will not be able to be included. Do you have a picture of your finished project? Or how about one of your Mini Schnauzer? Great! Click the browse button, find it on your computer, and then select it. Then click on the link to add even more. Ideally, images should be no larger than 800 x 600 px. If your photo does not load, the file size is probably too large. Re-size your photo and try again. Click on the links below to view some of the great homemade dog treats and dog recipes submitted by site visitors, just like you. Baked dog treat - allowed for Schnauzers that have had oxalate stones. 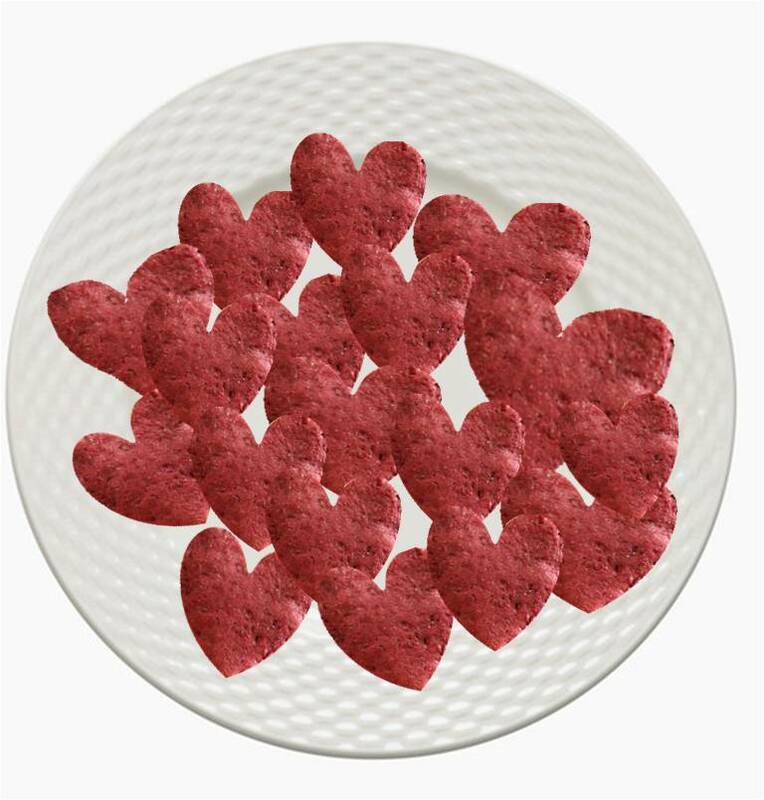 Here's a delicious and nutritious dog cookie you could make for your Miniature Schnauzer on Valentine's Day. They are super easy to prepare and just one more way of expressing your love. DIRECTIONS: In a medium bowl whip egg. Next, add the whole wheat flour, wheat germ, and mashed banana. Continue to mix while slowly adding the beet juice (use more or less to form proper consistency). Roll dough into small 1 inch balls and place on slightly greased cookie sheet. Flatten balls slightly with a fork. Or if you want to use a heart-shaped coolie cutter you can create heart-shaped treats for your dog. Bake for 20 minutes at 350 degrees. Your Schnauzer will jump and spin around for these yummy cookies.